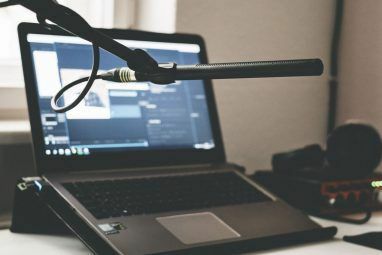 You can split music podcasts into two broad categories: podcasts in which the hosts predominantly talk about music, and podcasts which predominately play music. If you’re a music aficionado, both should appeal. But a lot of people are only interested in one or the other. This article looks at podcasts from both sides of the fence. It doesn’t matter whether you’re interested in the latest music theory Learn Music Theory for Free with 7 Fantastic Online Courses Learn Music Theory for Free with 7 Fantastic Online Courses It's amazing how much more interesting music becomes once you learn the underlying theory behind the music. 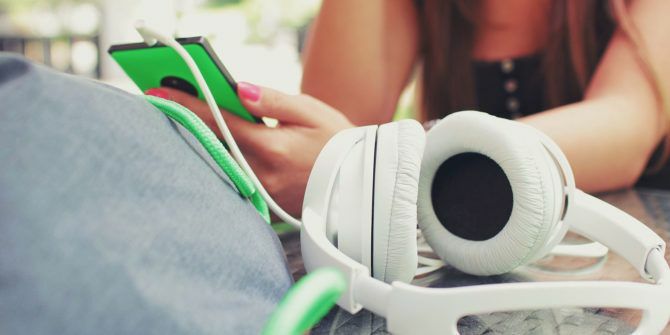 Take these simple and free online courses to better appreciate the music you hear. Read More or you want to listen to little-known gems from the world of Celtic music, keep reading and you’ll find something to suit your taste. Here are our top 10 music podcasts you should be listening to instead of reading this. Did you know artists release more than 1 million songs every year in North America? Amazingly, that figure doesn’t even include songs from the rest of the world or tracks that never get an International Sound Recording Code (ISRC) for use on digital platforms. With all that music, it’s impossible to stay ahead of the curve. Sure, music discovery tools 7+ Easy Ways to Discover New Music You Will Love 7+ Easy Ways to Discover New Music You Will Love The depth and breadth of music to be discovered these days is mind-boggling. The problem is knowing where to look. We're here to help with an incredible list of resources just for you. Read More like Spotify’s Discover Weekly playlist Discover New Music with Spotify's Automagic Playlists Discover New Music with Spotify's Automagic Playlists Spotify has recently released several new ways of generating unique playlists that will help you discover awesome new music. We're here to guide you through these automagic playlist makers. Read More can help, but they still barely scratch the surface. You need some expert input. The All Songs Considered podcast should offer some insights. Hosts Bob Boilen and Robin Hilton talk about the latest tunes from both new bands and established artists, meaning you’ll never miss the next big hit again. It might be hard to believe, but you will frequently find the Irish and Celtic Music Podcast in the Top 20 musical podcasts list on the iTunes Directory. It’s won several industry awards and each show is typically downloaded more than 20,000 times. Celtic music expert Marc Gunn hosts the show, but each hour-long episode is predominantly music focused. You’ll be able to enjoy everything from classic Irish drinking songs to bagpipe serenades and Canadian folk tunes. Even if Celtic compositions aren’t your usual music of choice, you should give it a try. You might love it! It’s hosted by former music attorney, executive, and The Source managing editor, Reggie Ossé. The show revolves around interviews, discussions, and stories about hip-hop music and its associated culture. The podcast is mainly chat-based. The weekly release has a diverse variety of guests. One week you might hear a hip-hop legend like Ice Cube, the next week you’ll be listening to a pioneering radio producer such as King Tech. Ever wondered what an artist or band really meant when they sang a certain lyric or wrote a particular song? Song Exploder aims to find out. The podcast invites musicians to dissect one of their hits on a line-by-line basis, then at the end of the show, the song is played in full for the audience. It’s a fantastic concept that’s earned the show widespread plaudits. In fact, it’s so popular that in 2016, the host Hrishikesh Hirway became the Sydney Opera House’s artist-in-residence. Guests are varied, with everyone from DJ Shadow to Metallica featuring. You don’t have to trawl through random Spotify genres 20 Obscure Music Genres You Should Listen to on Spotify 20 Obscure Music Genres You Should Listen to on Spotify Join us as we navigate through some of Spotify's weirdest and most wonderful music genres. There's a chance you won't have heard of any of them before. 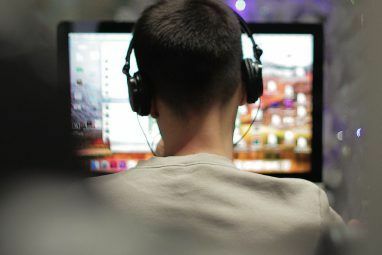 Read More or listen to hour-long podcasts to discover great new music The 8 Best Websites to Check Out New Music Releases First The 8 Best Websites to Check Out New Music Releases First There are plenty of ways to keep up-to-date with your favorite artists. Here are eight websites to check out new music releases as they happen. Read More . If you would rather keep things short and sweet, subscribe to the KEXP Song of the Day podcast. KEXP is a radio station in Seattle, and as the name suggests, its podcast focuses on one single song. No chat, no analysis, no opinions — just three minutes of freshness. All of the featured musicians are independent. Most of the songs you’ll hear are in-studio recordings or unreleased tracks. In the Groove, Jazz and Beyond is a weekly jazz show that covers all facets of the genre except smooth jazz. You’ll be able to enjoy tracks from the jazz masters, learn about the latest fusion music between jazz and hip-hop, and hear emerging artists doing their thing. Hosted by WWUH 91.3 FM’s Ken Laster, no two episodes are the same. Regular listeners praise the diversity of its content and Ken’s impressive depth of musical knowledge. And if after listening to an episode of two you’re not sure who a certain artist was, don’t worry — you can find all the playlists of previous episodes on the podcast’s homepage. Rolling Stone Music Now is a chat-based show hosted by the famous music magazine’s writers. The topics are extremely broad. In 2017, we’ve already heard a fascinating debate on the future of rock music, an interview with the E Street Band’s Jake Clemons, and an in-depth look at the enduring popularity of singer-songwriter Ed Sheeran. They release a new show every week. You’ll never truly appreciate music until you learn to embrace songs from other languages and cultures. If you live in the United States, you’re lucky — some of the best non-English music is right on your doorstep in Latin America. Alt Latino claims it will take you a “voyage across the world in search of the best new Rock en Espanol and Latin Alternative music releases.” It does an excellent job of delivering on its promise. You’ll be able to listen to everything from an analysis of Cuban musical influence in the U.S. to the latest breakout stars in the world of afro-Brazilian music. If you’re one of the millions of people around the world who finds the daily commute to be the most stressful time of the day, perhaps you need to subscribe to Deep Energy 2.0. It’s purely focused on ultra-relaxing music The Most Relaxing Songs of All Time, According to Science The Most Relaxing Songs of All Time, According to Science "The Most Relaxing Tune Ever" is actually a thing, and scientists have determined a Top 10 list of relaxing songs. It's about time we revisited some of those more tranquilizing numbers. Read More . There’s no talking and no adverts. 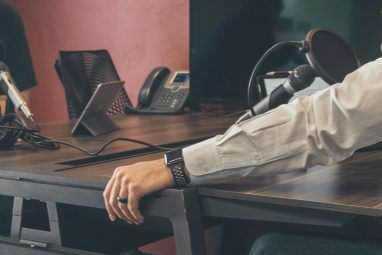 The podcast’s creator, Jim Butler, describes it as being perfect for sleeping, meditation, relaxation, massage, and yoga, which should give you a pretty clear idea of what to expect. You’ll get a new show roughly once a month, but the release schedule can be a bit erratic. We conclude the list with a podcast for EDM (electronic dance music) fans. There are a lot of EDM-specific podcasts to choose from, many of which are hosted by some of the biggest DJs in the world. However, I’m personally a fan of Spinnin’ Sessions thanks to its offering of guest mixes. A typical show features some of the week’s most popular tracks before the guest takes over for a 30-minute set, though they do occasionally release special episodes such as “Best Of” countdowns and extended track lists. What Are Your Favorite Music Podcasts? We’ve now listed our 10 favorite music podcasts, and hopefully you’ve found at least one you’ll enjoy. After all, they cover a diverse range of genres and artists. However, there’s a good chance we’ve missed your favorite music podcast. After all, there are thousands to choose from. So now it’s over to you. What music podcasts do you listen to on a regular basis? Do you prefer podcasts which play music or those which talk about music instead? What makes your favorite music podcast so enjoyable? Please let us know in the comments below! For those who like folk / bluegrass / country , I recommend the Woodsongs Old Time Radio Hour (www.woodsongs.com). Alas, their pure audio podcast feed hasn't been updating and you need to manually download episodes, but it is worth it. They also have a video feed (and are broadcast on a number of stations). I've found quite a few great artists, and they have an extensive archive. Hey Dan, fans of indie rock and especially 90's indiepop should check out the Songs For Jenna podcast. I found it in iTunes New Noteworthy section and I love it. The dude plays songs for his sister who hates most of it, and makes herself cocktails. It's pretty funny too. Would definitely need to include Monstercat in the list. Its EDM so everybody is gonna hate on it, but is genuinely one of the best things to throw on when you get to the gym or to look for up and coming acts in the genre. Has also given birth to artists like Marshmello, Seven Lions and PegBoard Nerds.